The Dynamo Travel Program excels in offering a physically and psychologically safe environment for children of all ages to enjoy participation in soccer at varying competitive levels, at a reasonable financial cost. "We strive to develop quality people, quality players.". 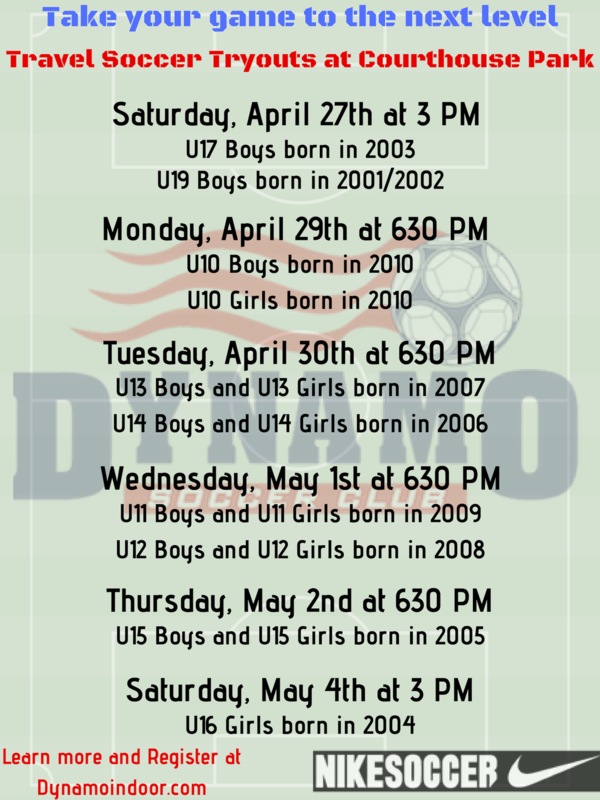 Dynamo Soccer Club is a not-for-profit organization established to promote and develop an interest in soccer in Hanover County and surrounding areas by sponsoring, organizing and operating competitive, developmental and recreational soccer teams for children aged 3, up to 19. Dynamo Travel is owned by Commonwealth Soccer Programs L.L.C. Already a part of the family? See our Parent's Page to stay up-to-date.